Do you have any soccer boots at home that your kids have grown out of? We would love to take them to Zambia on our next Impact Trip to Kantolomba village. Many of the students at Light Up Ahead School in Kantolomba love playing soccer, but not all of them have shoes to play in. During our last Impact Trip, we noticed kids playing with only one shoe on, because they were sharing their pair of soccer boots with their friend (and the friend was wearing the other shoe). 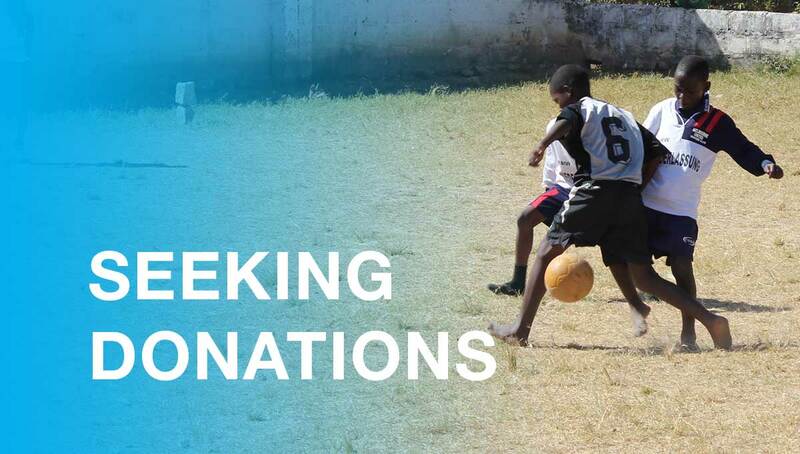 If you would like to donate a pair of soccer boots, please drop them off at Student Services (Junior and Middle/Senior School) and the Swanmissions team will take them to Zambia on their next Impact Trip. Please contact Mr Ray Hockley if you have any questions about the Kantolomba project or donations to Swanmissions. For Uniform Shop hours, please go to our Uniform Shop page. How should parents respond when their child has an issue at school? I am concerned at what seems to be an increased level of parental anxiety being evident in our College. Further, this anxiety is on occasion manifesting itself in levels of hostility that are interfering with the quality of some conversations and this, in turn, is affecting the ability of all parties to focus calmly on the well being of the children in our care. © 2019 Swan Christian College. Website by Bam Creative .